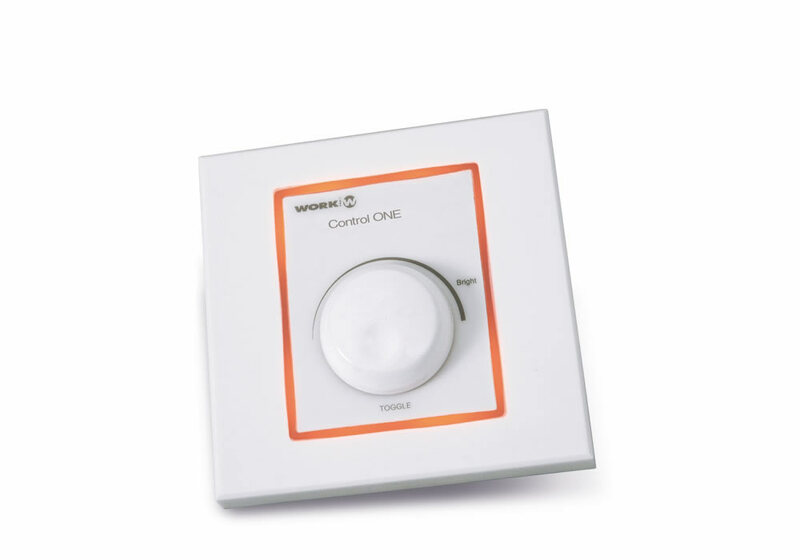 Control ONE is a simple solution when a monochannel dimmer is required in architectural lighting applications. With a 2200W system and adjustable rackable remote control, this device is the answer to professional´s needs when they need to control a big space, such as a conference centre. With Control ONE, it is possible to control several lights with just a remote control, whatever the magnitude of the space is. 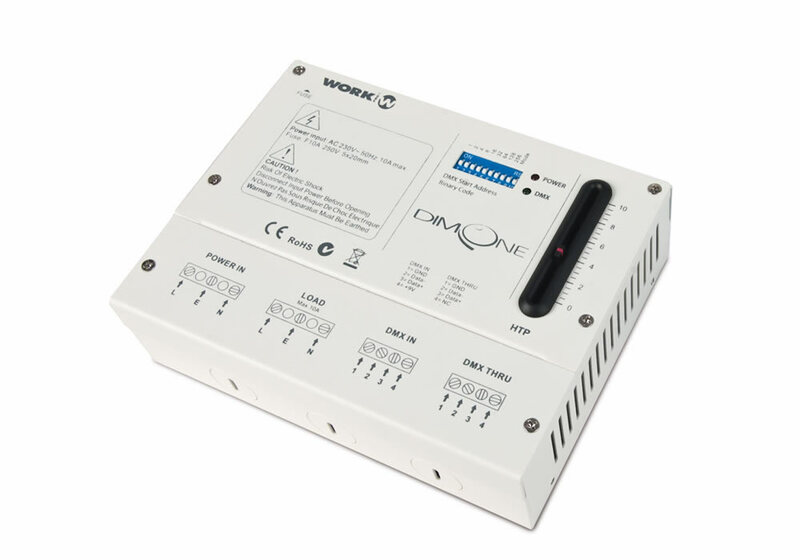 Dim ONE: power unit which is composed of a monochannel dimmer that can be controlled through DMX signal with adjustable starting address through DIP - Switch. Control ONE. 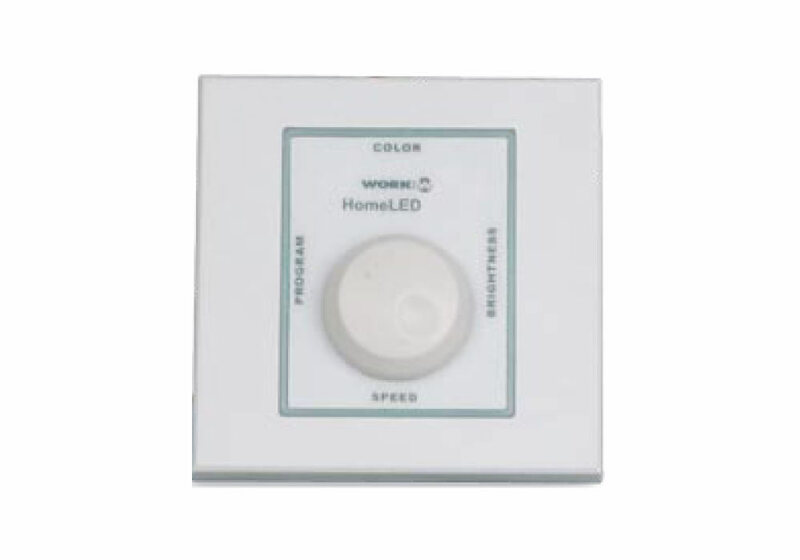 Control unit which is composed of a smart potentiometer that sends a DMX signal from a pre-set channel through DIP - Switch. Thanks to DMX technology it is possible to use this device in several applications, for a whole system as well as for an independent system. 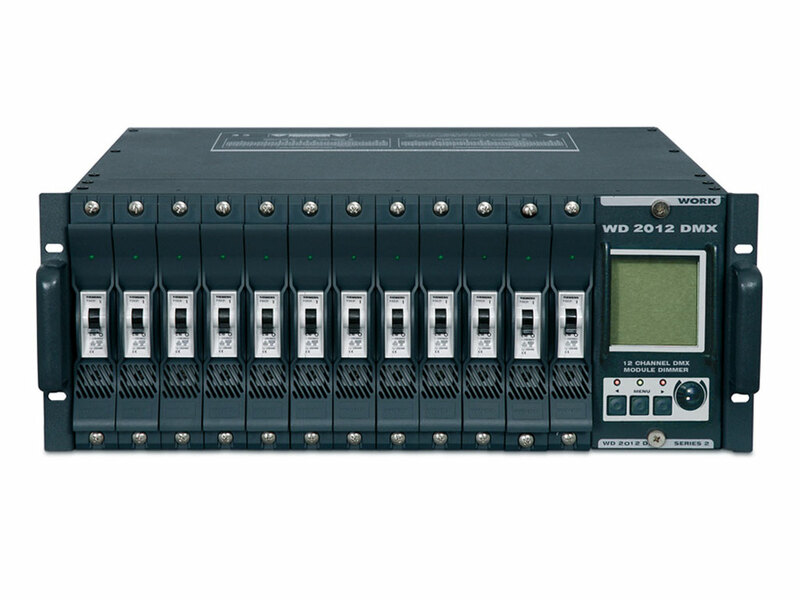 For example, it is possible to set an unlimited number of Dim ONE units controlled just by one Live unit. 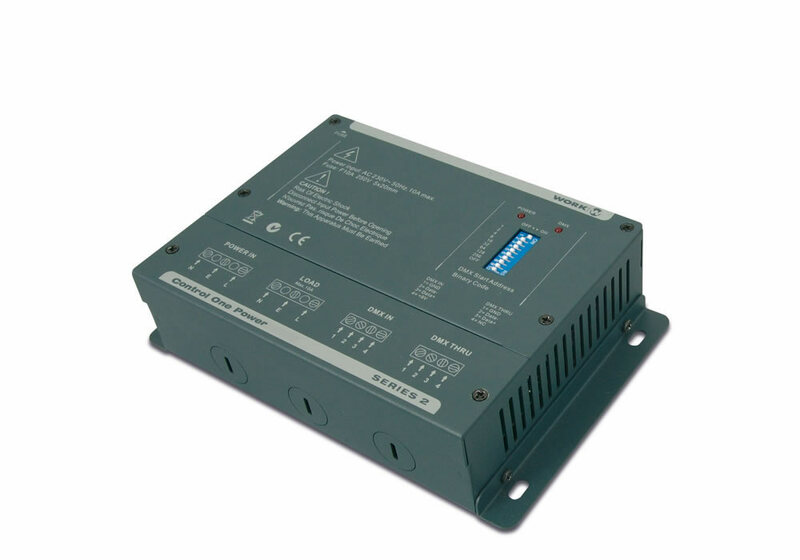 Another example of application could be to use Control ONE to control any DMX device or to integrate the power unit into a DMX architectural network without the necessity to have a Live unit. 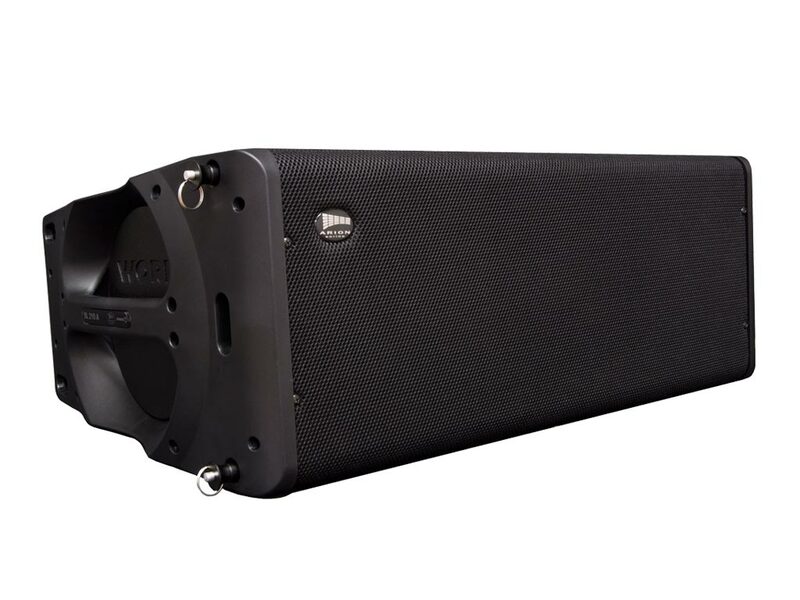 Dim ONE MK II model has the same features and functionalities than Dim ONE with the peculiarity of adding a local control for dimmer through a fader, so it can work independently (one channel dimmer) without the need of a Control ONE device. DMX signal emission (0-255) sent by a DMX channel. Configuration of the DMX channel and the fading time from the DIP-Switch. External supply through Dim ONE. Main supply: 24 V DC. Usage temperature: -10° + 50°C. Dimensions (W xH x D): 86 x 86 x 45 mm. 28LED215 286 WORK ProEquipson S.A.